Since I retired I have been incredibly fortunate to be able to spend an almost unlimited amount of time with my dear sister, Judy. It has been such a treat for both of us. If I am really lucky, I get to spend time with my sister plus other family members. On this most recent trip to my sister’s home, Judy and I decided that we would take a road trip to visit with our niece in Los Angeles. We tried really hard to get Jen to join us, but alas, it was not meant to be. Jen has the busiest life of anyone I know and we are trying very hard to get a girls trip together. One day, we will make this happen and that will make for a great number of stories for us to share. Judy and I have this incredible niece, Jeannie, who lives in West Hollywood. Jeannie knows everything that is happening in LA; all the best places to eat, cool shopping destinations, beautiful gardens, the best beaches. You name it, and Jeannie knows where to find it and the best way to get there. 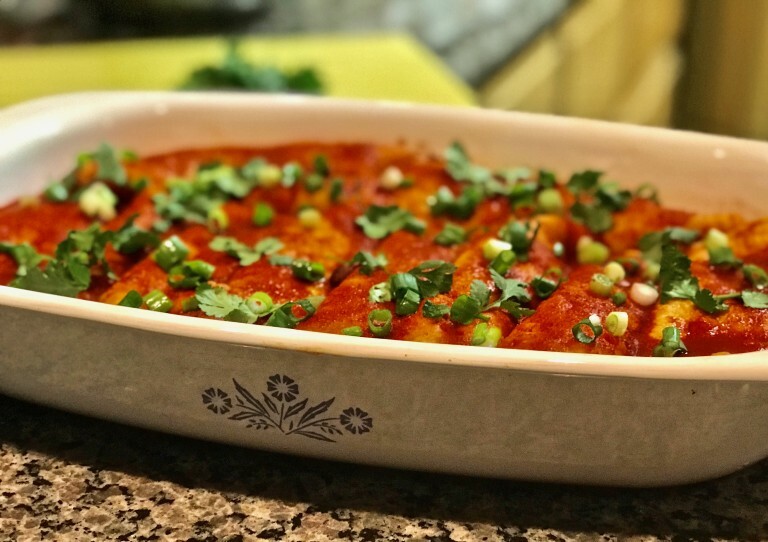 I have been a fan of Nancy Silverton for many, many years. I started fan girling back when she started La Brea Bakery and have not stopped. (After visiting Jeannie, my hubby and I would stop at La Brea Bakery early in the morning and stock up on pastries and savory snacks for the drive back to Arizona.) 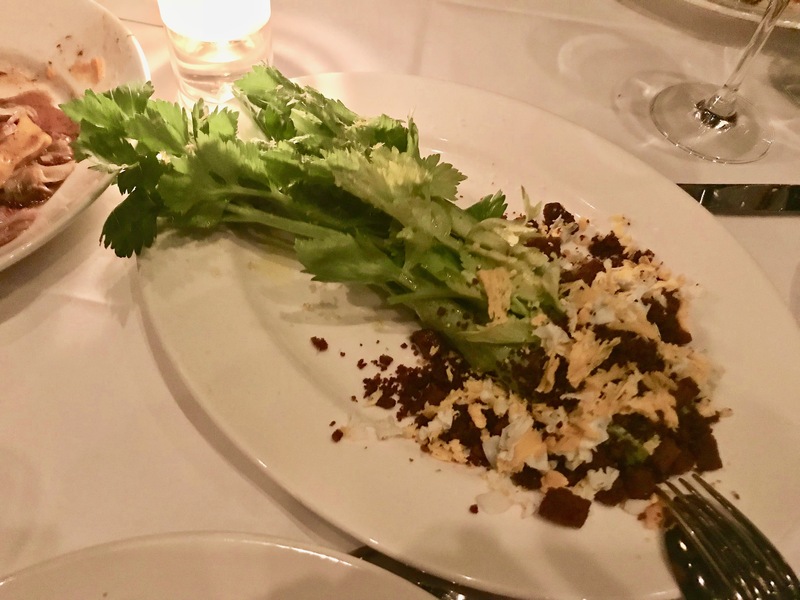 I had been trying to have a meal at Osteria Mozza, her Los Angeles establishment, for years and for various reasons, it just never worked out. Last year that dream came to fruition and let me tell you, I was not disappointed. Not only did I finally get to enjoy lunch at Pizzeria Mozza, where Jeannie and I sat at the pizza counter and watched while our lunch was made fresh by hand, I also scored “Mozza at Home”, Silverton’s latest cookbook. Best of all, Ms. Silverton was in the house and she graciously inscribed and signed my very own copy back in her office!!!! Later during this same trip, Jeannie, another cousin, and I had dinner at the bar at Osteria Mozza. Wow!!! Everything that I had heard and read about this place was true and beyond. Fast rewind to a couple of weeks ago and the road trip that Judy and I planned. We hit the road and headed south with music playing and laughter abounding. We planned on arriving in Los Angeles about mid afternoon and pretty much succeeded in this quest. Another niece, Junko, was set to arrive that evening from Tucson for our girls weekend and we originally planned on having a Japanese meal after we picked her up at the airport. Jeannie kept asking me if I didn’t want to try to get into Mozza and I just kept saying that we could do that another day, that Junko would really enjoy the Japanese food and she didn’t get to stay as long as I did. Silly me!! 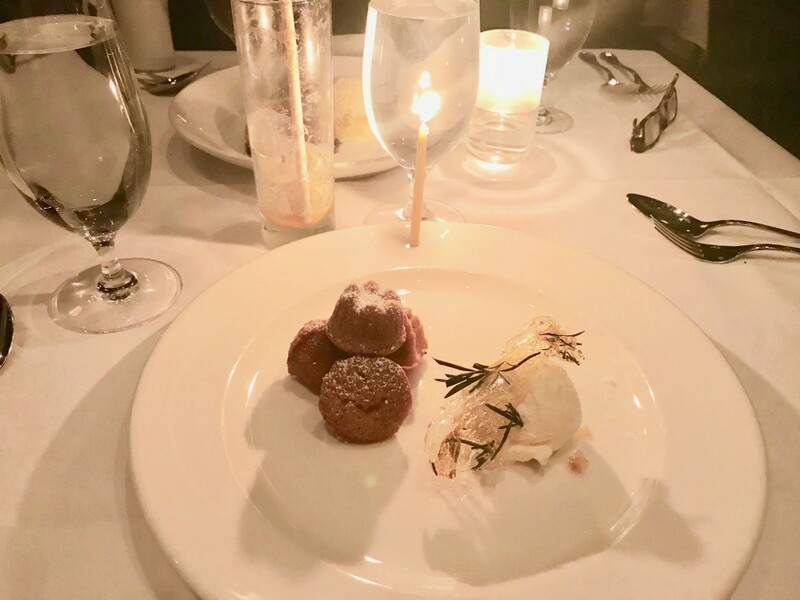 As it happened, we arrived in Los Angeles on my birthday and wonderful Jeannie had arranged a birthday dinner at none other than my favorite LA eatery, Osteria Mozza!!!!! She was very sneaky about it but it was a wonderful evening. 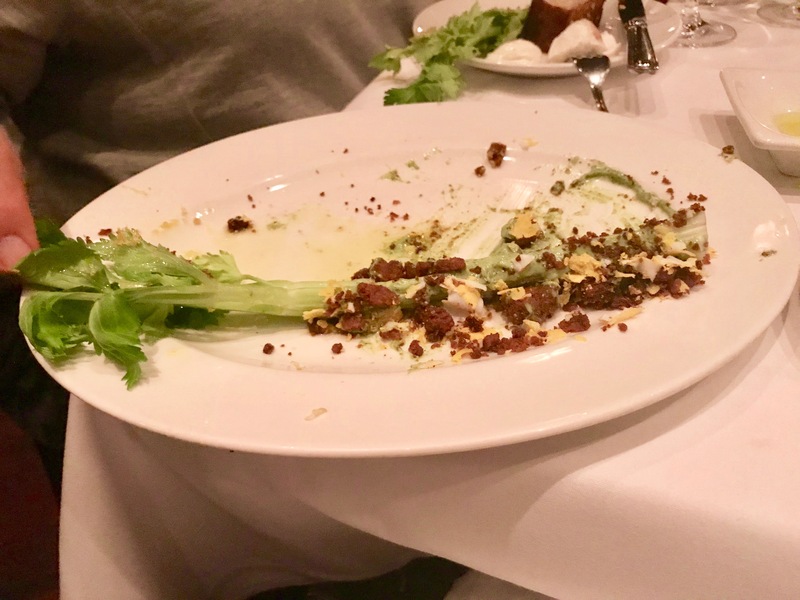 Just as we had decided on our appetizers, our waiter returns and tells us about a new appetizer they are trying that night and it sounded very interesting…celery hearts topped with Green Goddess Dressing, bread crumbs with garlic and anchovy, and finished with shaved egg. Hmmm…. At first I thought, celery? By the time he got to anchovies, I was intrigued. Picture, if you will, the ideal heart of celery, pale yellowish green and smelling of springtime with all of the tender leaves still intact. Then picture a voluptuous, creamy, green sauce flecked with fresh herbs. Now imagine the smell of warm bread, garlic, and the sea, no wait, I mean anchovies. What was laid on our table was sheer perfection. Something as simple as celery had been catapulted into the stratosphere simply by every ingredient being so flawless. Crisp, creamy, salty, garlic-y, fishy. Oh my goodness! Never have I tasted something so fresh, yet so decadent. Over the next couple of days many of our conversations kept returning to that appetizer. None of us could get it off of our minds. We decided to try a quick hack using a good store bought dressing and were impressed enough that we wanted to explore this idea further. Jeannie happened to have a copy of “Mozza at Home” and while perfusing it I discover that there just happens to be a recipe for home made Green Goddess Dressing. Yippee!!! Stay tuned as Judy and I work on this recipe to see if we can come up with an acceptable facsimile of the great dish we had at Mozza!! I know that we will not be able to replicate it exactly, but it will certainly be fun trying! !